I had the honor of creating some whimsical owl baby shower decorations for my neighbor, Judy. Lucy will be her first grandbaby! What an exciting time for them! The baby shower was a mixture of ABC’s and owls. I love to create baby showers with items that will eventually be able to be used in the nursery for decoration after! This is the bedding that Jen has in her baby’s room. Judy told me she was wanting to do some navy in addition to the colors of the bedding for Lucy’s room. I am absolutely in love with these adorable cupcake toppers! Diaper blocks are an adorable addition to any baby shower! I use size 2 diapers so that they can go into the baby’s room and be taken apart later after baby has grown a bit. This was my gift for the baby. I am loving the way this fabric bunting turned out. These colors really look beautiful together! Here is the name banner and my owl diaper cake in action! The cupcake toppers and diaper blocks turned out really cute at the shower! If you are interested in decorations for a shower, or another occasion click here to go to my Etsy shop! I love creating new items for my shop, so if there is something you need that you do not see, private message me to get started on your custom order today! Check back later for my post on my friend Ashlee’s shower decor! This entry was posted in Savor Each Second on September 18, 2014 by Amber. I have never been one to be able to keep plants alive until the last couple years. I wanted to share some of my plants that I enjoy keeping around the house! Someday I hope to have a backyard that is full of plants and flowers like my Grandma Bloesser’s! Hens and chicks are one of my new favorite things to plant. I love watching the little chicks pop up! I have had friends say they remind them of a vegetable, but I think these succulents are beautiful! They just spread out all over the place! Here is a picture of what the hens and chicks looked like a few months ago. They got to the point that I had to pick them off and replant them somewhere else. Sweet potato vine is a really beautiful plant. This year they spread so much I couldn’t believe it! I love the variety in colors and my grandma helped me plant these the first year and did a mixture of both, so I have continued that on this year. Look at it crawling along the house! I bought a cute wire chair from Hobby Lobby this summer that holds a plant. I planted 2 sweet potato plants in. Next year, I think I will stick with one here because it was so full, you can’t see the cute chair behind all that vine! It spread beautifully. Look at the picture above at how much my roses have grown since we planted them! The rose bush on the right had a hard time taking root at first. It looked a bit wilted and would not produce roses at first. I am glad it finally took over and have had some beautiful roses this year!! Last year, I planted some tall grass and geraniums in our Nebraska flowerpot. This year, I decided to try something new. I first tried some gerber daises, but they were frying themselves due to the sun beating down on them all day long. I moved them to another pot under a tree and they like that much better. This is where I had to learn to do my research before I decide where they go. This plant is a VooDoo Star. I picked them because they are Nebraska colors and I loved the red and white star look they have! Click on the picture to check out my tutorial on the Nebraska flowerpot. My gerber daisies are much happier under the shade of our huge locust tree in the back yard. What are some plants that you enjoy planting every year? Someday I will tackle a vegetable garden, but after my epic fail of a tomato plant last year, I am not quite ready! This entry was posted in Savor Each Second on September 17, 2014 by Amber. 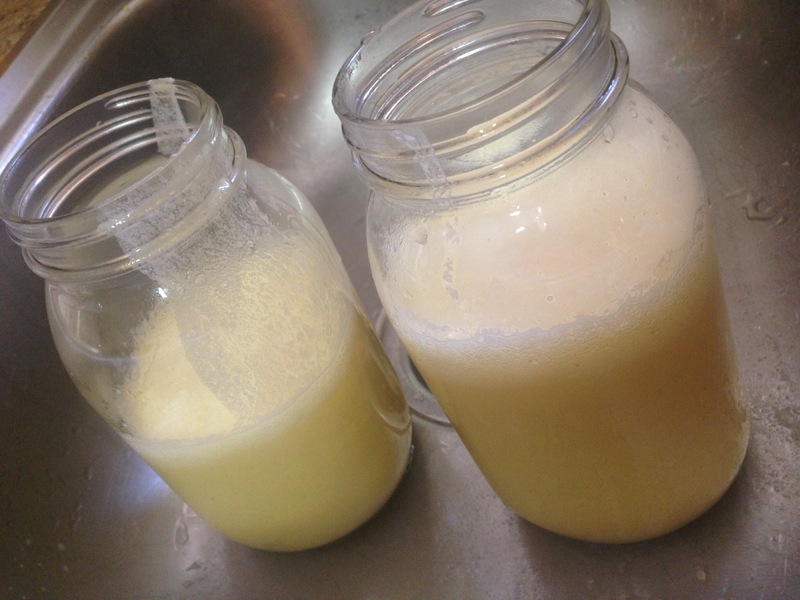 I have been wanting to try a homemade laundry detergent for awhile. About a month ago, I found a recipe that I decided was a must try. I have been waiting to blog about it, because I wanted to see how well it worked first. I love that this is not a 5 gallon bucket recipe that I would have to store in my small laundry room. Who has extra room for that? 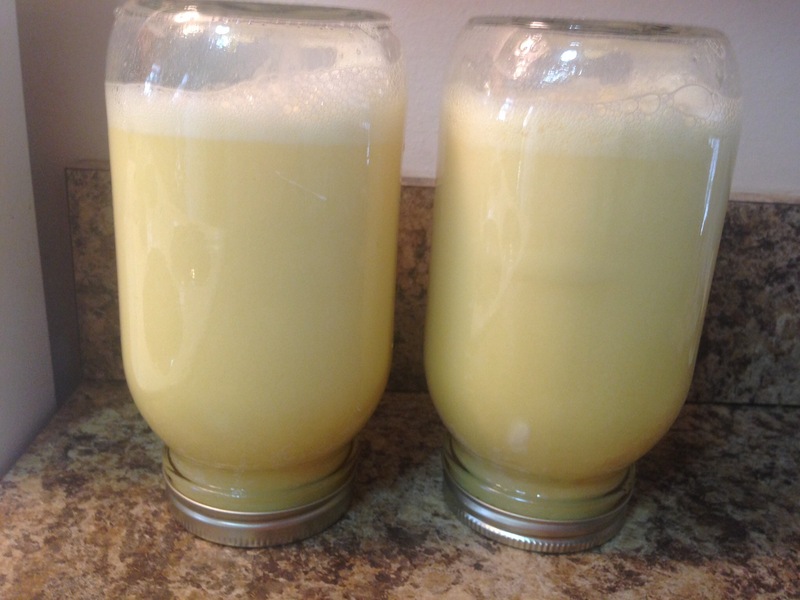 This is a concentrated recipe that is more of a cream and it only takes 1-2 Tablespoons per load! 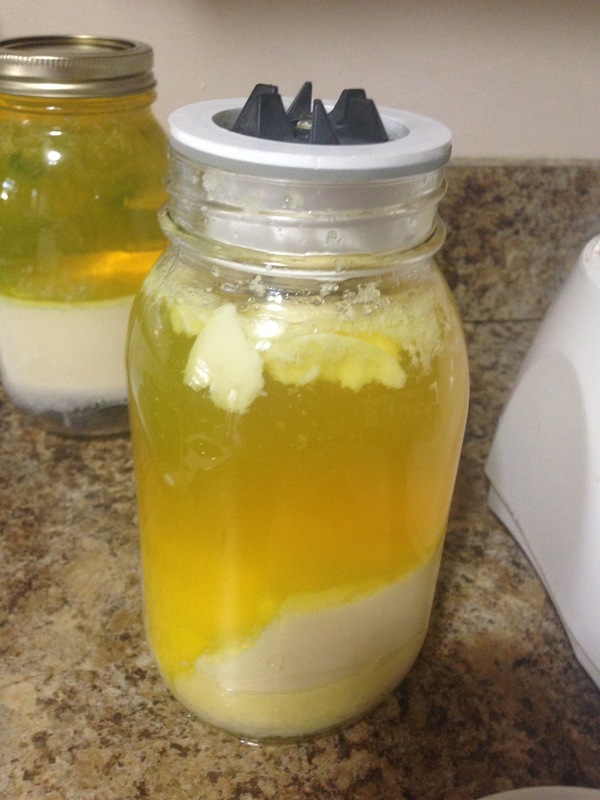 It also makes two 1 quart jars, which I have room for! The recipe I used was from a post on Budget101. 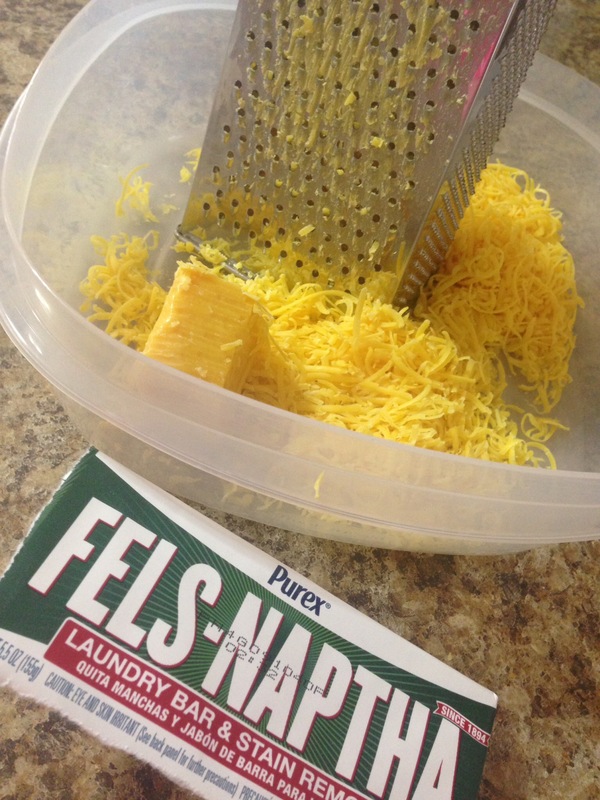 Grate the Fels Naptha bar with a cheese grater. 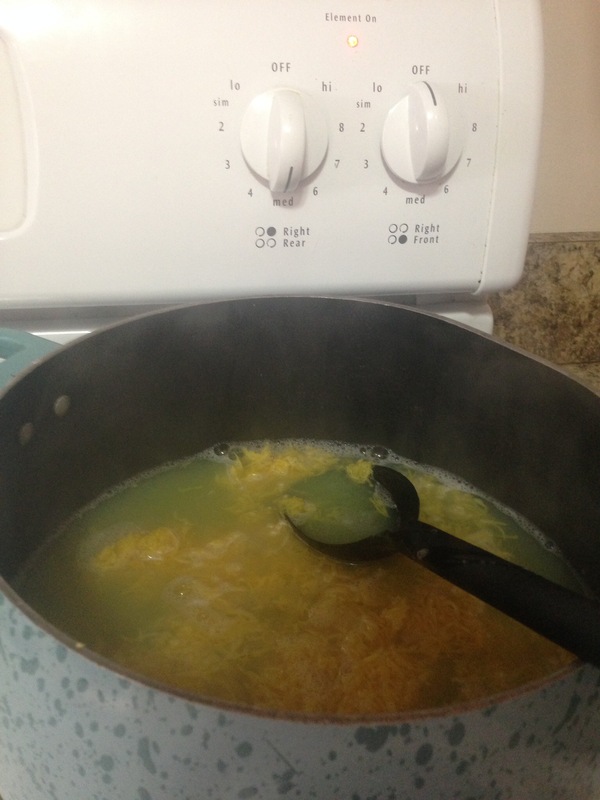 Melt soap and water over medium heat, stirring constantly. This should take about 15 minutes or so. Make sure it dissolved completely before the next step. 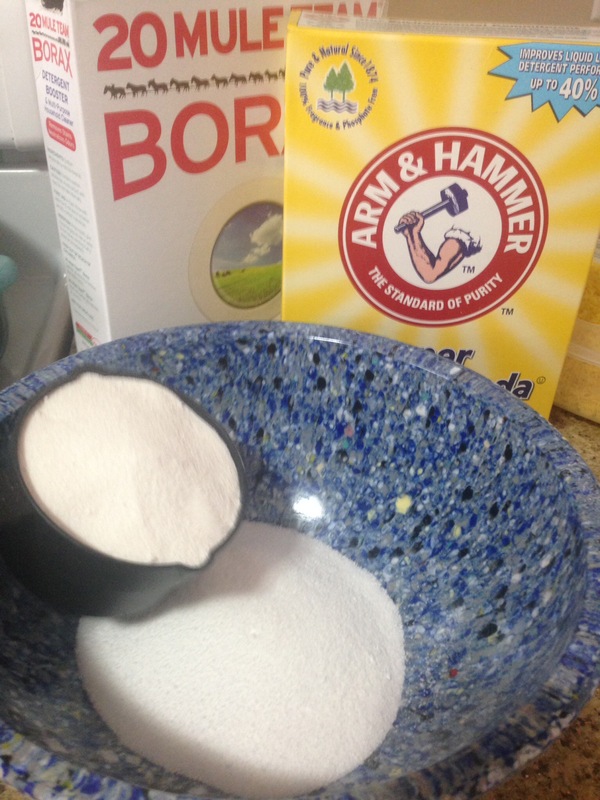 Mix the Borax and Washing Soda in a bowl. 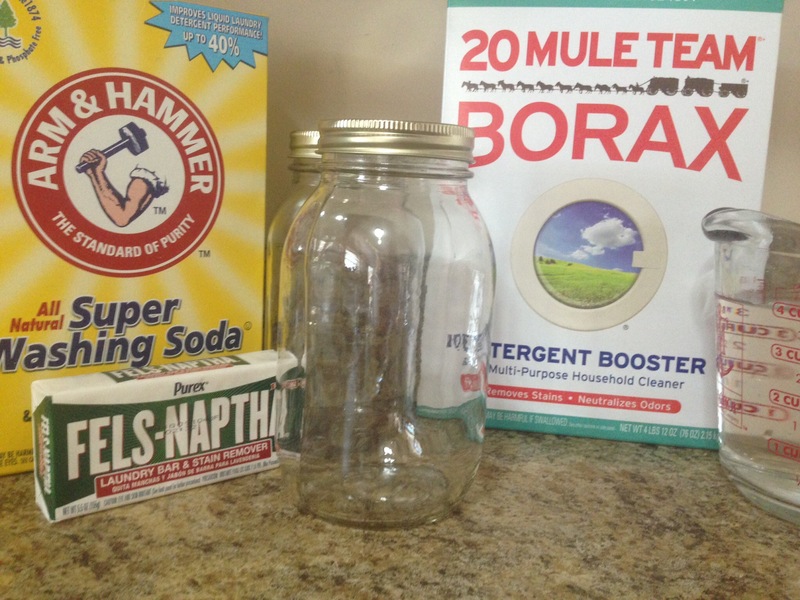 Remove from heat and stir in the Borax and Washing Soda mixture. Mix thoroughly. 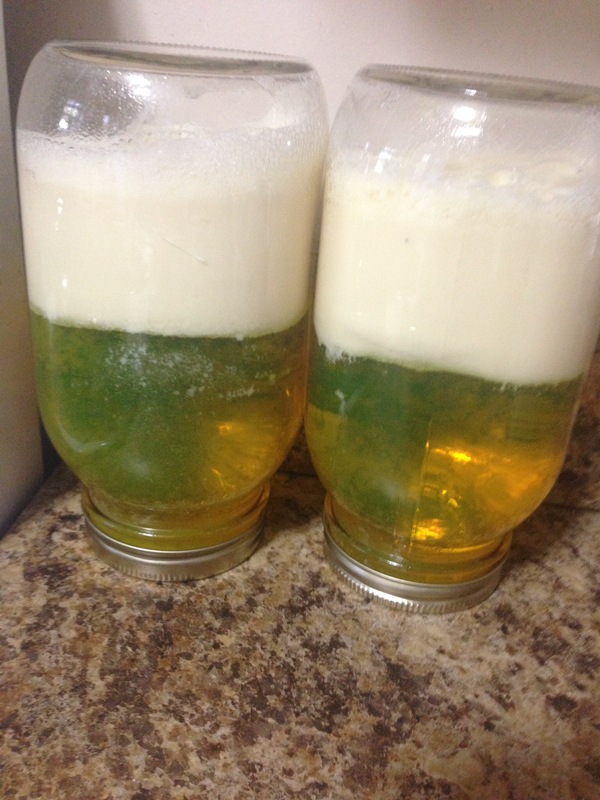 Pour equal amounts into two 1 quart jars. Then fill with water to about 1 1/2 inches from the top. 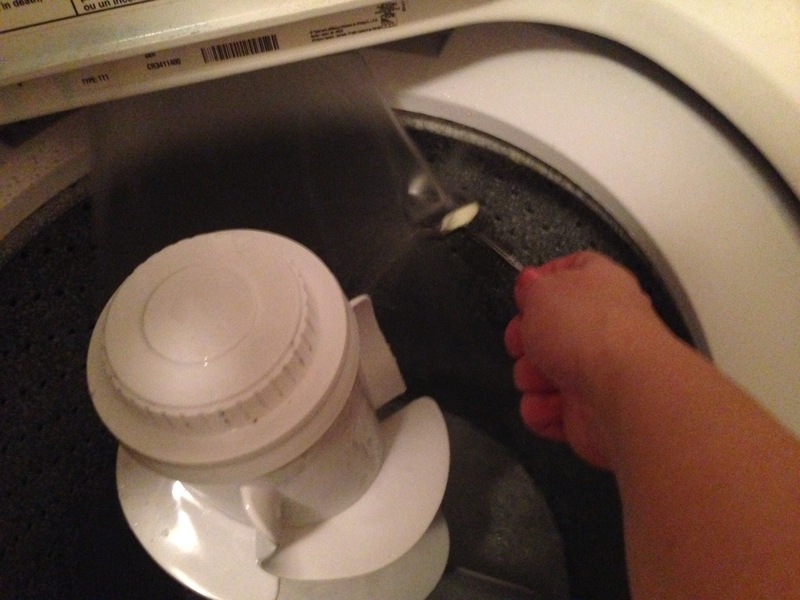 After securing the lids, set them upside down and set a timer for 4 hours to let the detergent set up. This is what your detergent should look like after the four hours is up. 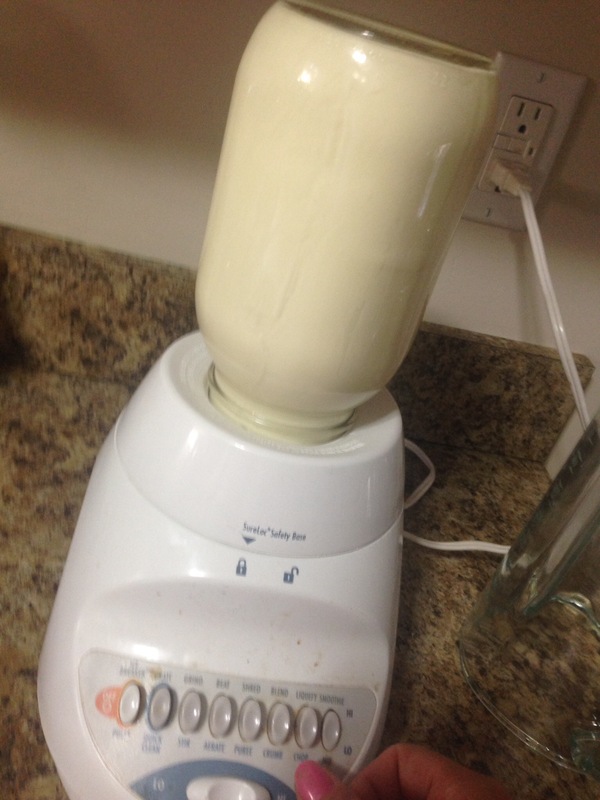 Use a spoon to push the white part down and attach the blade of your blender to the jar as shown in the picture. I had no idea you could do this! 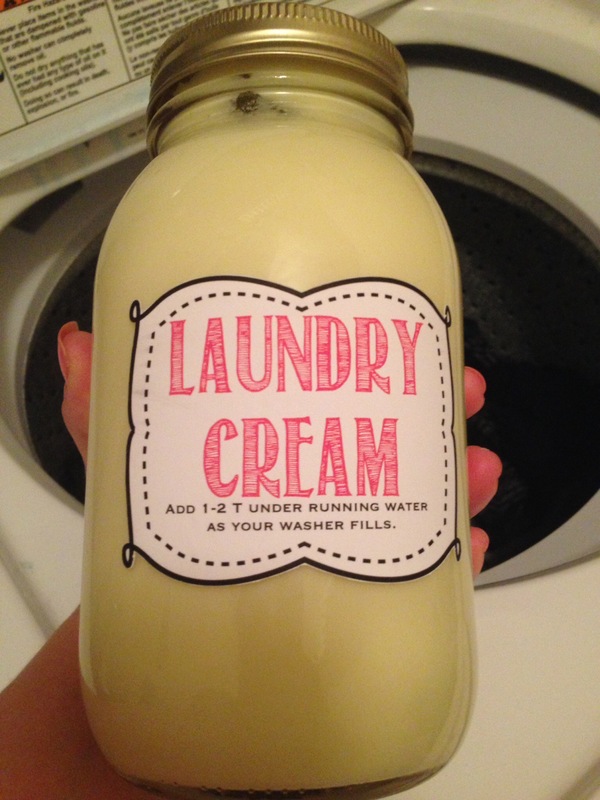 Blend until the detergent gets nice and creamy. 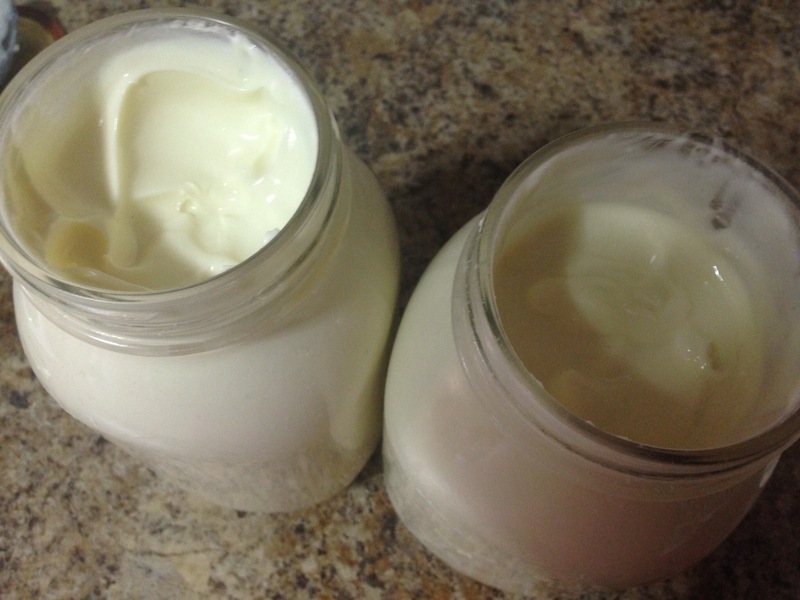 Do the same to the other jar and here is the final product. I even slapped a label on it to make it look legit! 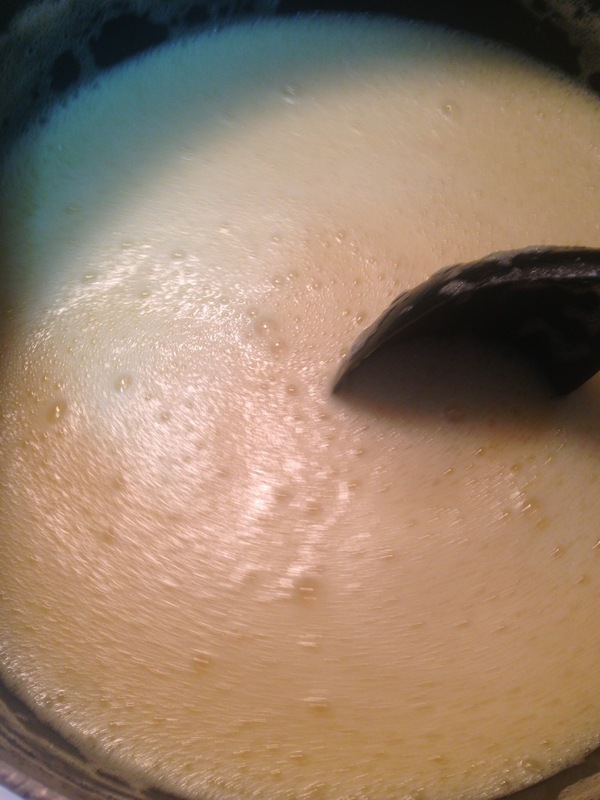 Run the water and scoop Tablespoon of the cream letting the water run over the spoon as it fills. Toss the clothes in and you are on your way to some clean clothes! This entry was posted in Savor Each Second on September 15, 2014 by Amber. I love creating new items for my shop! A girl from my hometown, Erika, messaged me a few weeks ago and asked about making a few banners and some invitations for her daughter’s first birthday. I was excited to hear she is planning a circus themed party, which means I was going to get to design a new theme for my shop! I was so happy with the way the invites and banners turned out, I had to share! Here is the circus tent invite that I created in my Silhouette Studio. I love that the tent opens up and the invite information is inside the big top! This is what the invitation looks like on the inside. Here is one of the banners that will be hung up at the party. These clowns are adorable! Thank you Collective Creation for the amazing digital clip art set I purchased for this theme. The clip art for this theme was purchased from an Etsy shop called Collective Creations. Thank you Erika for the order! I hope it is all that you imagined it would be! I had a lot of fun making it! If you are in need of anything party related, please visit my shop SavorEachSecond and message me to start your custom order today! I am always looking for new themes to create! This entry was posted in Savor Each Second on September 12, 2014 by Amber.